Suffering from long-term back or neck pain? Our consultant orthopaedic surgeons and pain management specialists have particular expertise in dealing with treatment for degenerative conditions and spinal deformities as well as common back and neck pain conditions. The Nuffield Health Spinal Centre in Woking is home to Mr Srinivasa Chatakondu and Mr Óscar García-Casas, two highly qualified and established orthopaedic spinal surgeons. Our spinal surgeons work closely with other clinical colleagues within the hospital, including 2 pain management specialists, Dr Rajib Dutta and Dr Andy King, offering our private patients some of the most comprehensive spinal treatment available. The Spinal Clinic offers a full range of treatment choices in addition to surgery. We can provide non-surgical treatment options including physical therapy and pain management, with an emphasis on education in spinal pain and injury prevention and therapy through rehabilitation exercises. 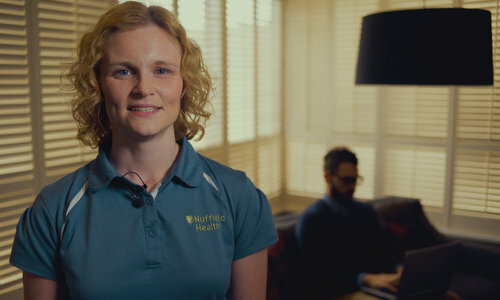 Your consultation appointment will take place at the Nuffield Health Woking Hospital where we will keep you informed during every stage of your treatment. Your consultant will talk you through your condition and explain the reasons behind the pain and discomfort that you’re experiencing. If appropriate, your consultant may refer you for a diagnostic scan. Once you have had any necessary diagnostic scans, your consultant will talk these through with you and explain any treatment options. We know that if you're experiencing back or neck pain then you want to relieve your symptoms as soon as possible. With our rapid access appointments, we aim to offer same-day or next day appointments with one of our consultant specialists. Please note - with our rapid access appointments we will not always be able to offer you a choice as to which consultant you see. Why choose the Nuffield Health Woking Spinal Centre for your spine care? Our spinal surgeons, radiologists, pain management consultants and physiotherapists are among the most experienced and respected in Surrey. 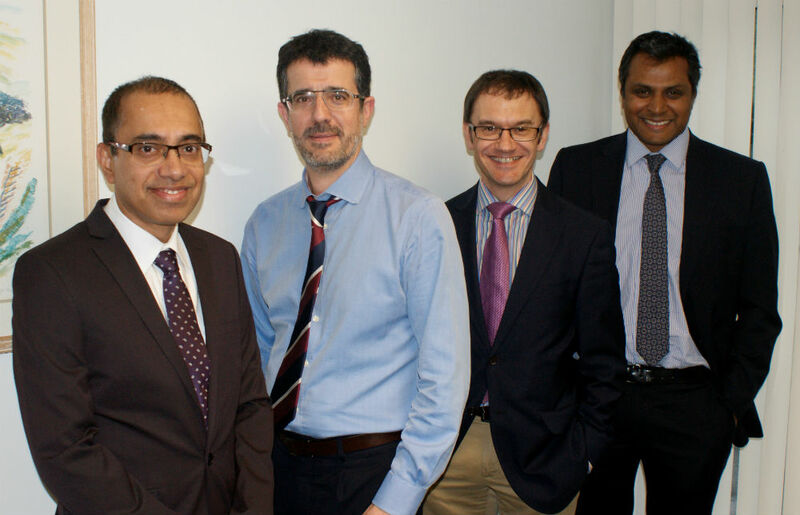 Our private Spinal Centre is home to a team of 2 spinal surgeons, Mr Srinivasa Chatakondu and Mr Óscar García-Casas and 2 pain management specialists, Dr Rajib Dutta and Dr Andy King, who work closely together in the management of patients. Our multidisciplinary team of specialists give patients an accurate diagnosis and treatment plan for all spine conditions. How do I book a spine or neck pain appointment? Contact us and ask to book a Spinal Centre appointment. Our team will let you know of the spinal appointments available, and will take your booking over the phone. If it’s not convenient for you to come to the appointment within a few days, the team can let you know of appointments at a time that will suit you. You can pay for your treatment yourself. Once your consultant has recommended the best course of treatment, we will give you an all-inclusive quote that will cover all the treatment, plus any aftercare, that you will need. We accept payment by cash, credit or debit card. If you have private health insurance, we work with most healthcare insurers.